What design does your perfect smartphone have? 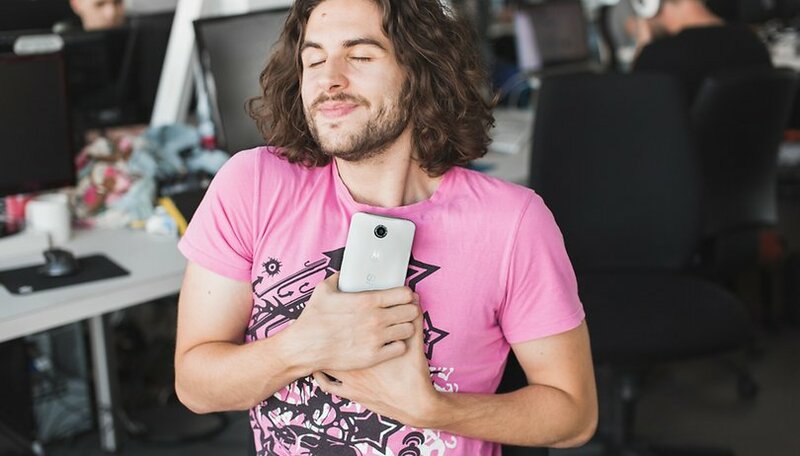 Hello, AndroidPIT readers! Today's poll was a suggestion from one of our readers, and it's all about finding out what makes the perfect smartphone. Tell us which specs you prefer! Should I buy a new mid-range or an old flagship? I'm always obsessed with the specs of a smartphone. Whenever I'm using a device, I make the most of it and get used to the feeling. But, I'm never totally satisfied. There's always one thing that's missing which would make it perfect. Does this happen to you? Maybe it's the position of a sensor, or the screen could be a bit larger, but there's always something wrong. I suspect manufacturers are doing this on purpose to keep us wanting a new device rather than the one we have in our pocket now. Even so, in this poll, you can finally have it all. Tell us what specs you want most on a smartphone. Just remember that the higher the specs, the more expensive a device is, which keeps it from being perfect since it wouldn't be affordable. So, choose wisely! In this poll, since there are so many questions, we'll only address the design and external aspects. We'll save the internal specs for another poll, and we'll have a full picture of your ideal smartphone in a few weeks time! What is the best color for a smartphone? What is the best material for a smartphone's finish? What is the best display technology? What kind of protection does it need? What kind of charging port? With or without headphone jack? Nine questions is enough for one day, right? What do you think was missing from the poll? Let us know in the comments! Next week, we'll return with more questions about your ideal smartphone! Aspect ratio, capacitive buttons, front and rear camera configurations, bezels, and unlock methods come to mind as additional design factors. Personal assistant, with drone like capabilities. My pocket will thank me for relief. May have to put it on a leash though. 120hz 4k screen that can support VR from multiple platform. Eg. Use my phone to play VR pc games! One of the BIGGEST things missing was the SIZE of the battery. I've gotten so hooked on the super long lasting 4,000mAH batteries in my last 3 Huawei phones, it's going to be hard to go with anything smaller. No battery savers, no dimming down displays or anything. For pretty much anything else, as long as the display is clean & bright, I don't care if it is AMOLED or IPS, the processors the last few years have been fast enough. The camera is pretty important to be OIS for my snapshots of work related stuff. I'm not into flashy colors since I use a minimal slip case on the back so I can put the metal thingy that allows my phone to stay put on the magnetic car cradle. The most important spec for me is a removable battery. Great questions but I think here misses many important things like as- battery and CPU/GPU performance!! As noted in the article: In this poll, since there are so many questions, we've only addressed the design and external aspects. We're saving the internal specs for another poll.